The Polyco Premium Chrome Rigger Leather Glove is a durable chrome leather rigger glove that offers an excellent level of protection. 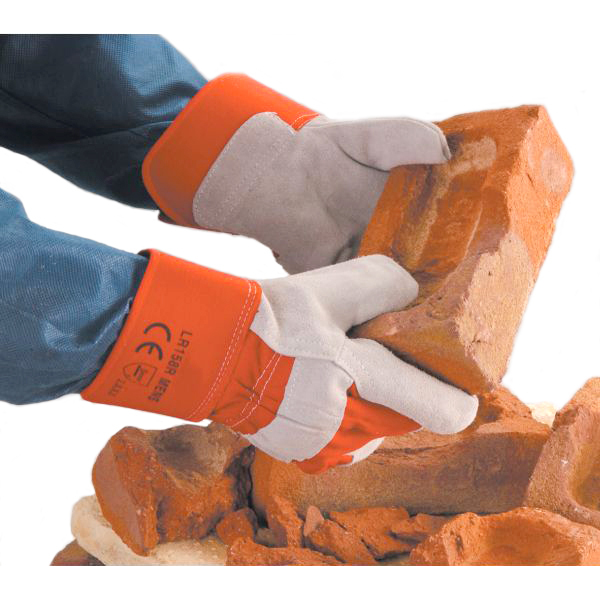 Made from selected chrome leather, this safety glove attains maximum EN 388 scores for abrasion and tear resistance. 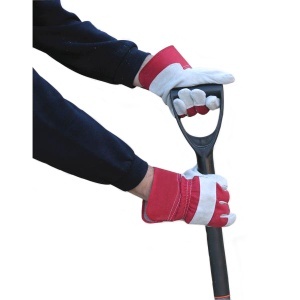 The Polyco Premium Chrome Rigger Leather Glove covers the fingertips, forefinger, thumb and knuckle area with strong durable leather which extends over the rubberised cuff. This provides reinforced protection to the wrist. 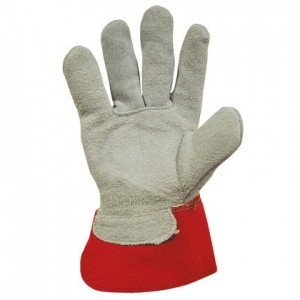 The Polyco Premium Chrome Rigger Leather Glove is machine press cut to maintain consistent quality and size, and double stitched at the seams for extra strength. 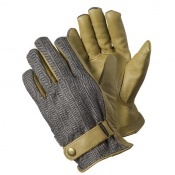 A fleece lining had been sewn onto the inside of the palm to add a level of comfort that is so often missed from traditional rigger gloves. 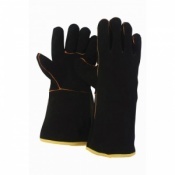 The product code for these gloves is LR158R. A rubberised safety cuff with vein patch for extra protection offers a safe and secure fit to the user. Machine press cut to give consistent quality and size. This safety gloves attains the maximum performance levels for abrasion and tear resistance. 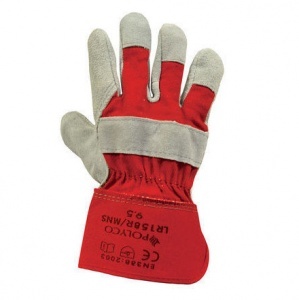 The Polyco Premium Chrome Rigger Leather Glove comes in one universal size.